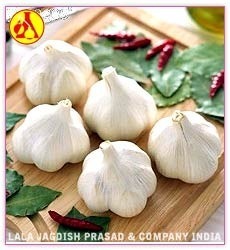 Garlic is one of the most popular spices in the world which belongs to Alliaceae family. Garlic is so popular that it is also referred as the Stinking Rose. It is quite similar to onion. The difference lies in that in the onion there is single bulb whereas garlic produces a compound bulb consisting of groups of white or purplish scales. The garlic head consist of smaller cloves. Garlic is basically a root crop whose bulb grows underground. There are nearly 300 varieties of garlic grown worldwide. Ginger is one of the most traded spice globally. 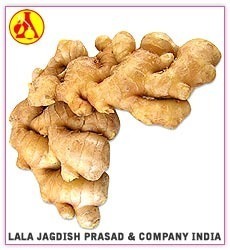 Ginger derive its name from Sanskrit word stringa-vera, which means "with a body like a horn". The spice is used extensively for culinary and medicinal application. Though often thought of as the root of the plant, but actually ginger is the rhizome of the zingiber officinale plant. The spice was initially found in China, but later the production extended to other Asian countries including India. It is a tall tropical grass, with a lemon like odor owing to their essential oil that is common with lemon peel. Common ingredient in Thai cooking, it provides a zesty flavor and aroma to many dishes. Highly beneficial for human body, lemon grass can be availed in many forms like slices, cut and sifted, powdered, or as an oil can be extracted from the plant. Packing : Food grade silver coated aluminum bottles and as per client's requirements.It is a tall tropical grass, with a lemon like odor owing to their essential oil that is common with lemon peel. Common ingredient in Thai cooking, it provides a zesty flavor and aroma to many dishes. 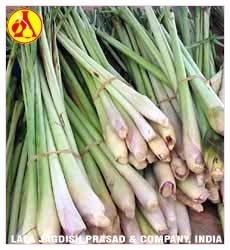 Highly beneficial for human body, lemon grass can be availed in many forms like slices, cut and sifted, powdered, or as an oil can be extracted from the plant. Mango Powder is a dried spice that is extensively used to add taste and flavor in different cuisines. Obtained by drying unripe mangoes and then grinding them finely into a powder, it is used for its tangy flavor and a slight tropical aroma. Used in various curries, chutneys, pickles, drinks etc., mango powder is also used as and acidic flavoring agent. Packing : Food Grade Silver Coated Alumunium Bottels And As Per Client Requirements.Mango Powder is a dried spice that is extensively used to add taste and flavor in different cuisines. Obtained by drying unripe mangoes and then grinding them finely into a powder, it is used for its tangy flavor and a slight tropical aroma. Used in various curries, chutneys, pickles, drinks etc., mango powder is also used as and acidic flavoring agent. Marjoram, also known as Sweet Marjoram or Knotted Marjoram is a perennial herb used for its sweet and citrus flavor. The leaves are either used in fresh or dried form for culinary purposes. They lend a sweet and tangy flavor to the dish it is used for. Marjoram belongs to the species of Oregano and is milder in flavor. It is used in Italian, French, North African, Middle Eastern, and American cuisines. Packing : Food Grade Silver Coated Alumunium Bottels And As Per Client Requirements.Marjoram, also known as Sweet Marjoram or Knotted Marjoram is a perennial herb used for its sweet and citrus flavor. The leaves are either used in fresh or dried form for culinary purposes. They lend a sweet and tangy flavor to the dish it is used for. 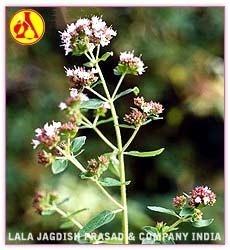 Marjoram belongs to the species of Oregano and is milder in flavor. It is used in Italian, French, North African, Middle Eastern, and American cuisines. Mustard is one of the oldest spices being used since centuries. 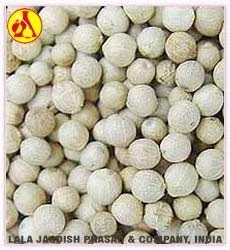 The seeds of the plant are grinded and mixed with water to form extensively used condiment called mustard. it is also used to manufacture the very popular mustard oil, widely used in food industry. Packing : Food Grade Silver Coated Alumunium Bottels And As Per Client Requirements.Mustard is one of the oldest spices being used since centuries. 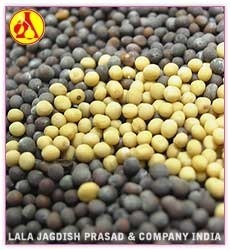 The seeds of the plant are grinded and mixed with water to form extensively used condiment called mustard. it is also used to manufacture the very popular mustard oil, widely used in food industry. 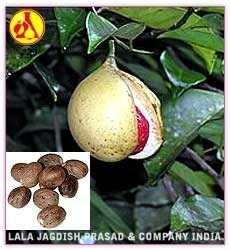 Nutmeg Tree is widely grown for obtaining two of the very important spices, namely Nutmeg and Mace. Both the spices are derived from the same plant; nutmeg being the seed kernel derived from the fruit and mace being the lacy covering on the seed kernel. It is one of the most sought after and internationally traded spice after pepper, chillies and basil. Packing : Food Grade Silver Coated Alumunium Bottels And As Per Client Requirements.Nutmeg Tree is widely grown for obtaining two of the very important spices, namely Nutmeg and Mace. Both the spices are derived from the same plant; nutmeg being the seed kernel derived from the fruit and mace being the lacy covering on the seed kernel. 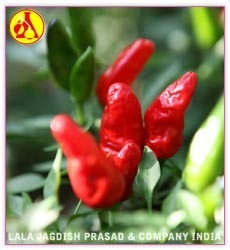 It is one of the most sought after and internationally traded spice after pepper, chillies and basil. 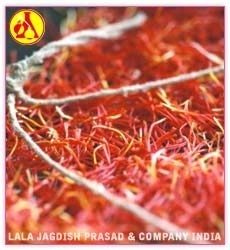 Saffron, the most expensive spice, traded by weight, is native to Southwest Asia. It is said to have been cultivated in Greece first. The spice is dried and then sold as a food and beverage colorant and seasoning. The high cost of this spice can be attributed to the difficulty in manually extracting the large number of minute stigmas. Packing : Food Grade Silver Coated Alumunium Bottels And As Per Client Requirements.Saffron, the most expensive spice, traded by weight, is native to Southwest Asia. It is said to have been cultivated in Greece first. The spice is dried and then sold as a food and beverage colorant and seasoning. The high cost of this spice can be attributed to the difficulty in manually extracting the large number of minute stigmas. Turmeric, belonging to the ginger family is a perennial plant found in the tropical regions of Southern Asia. 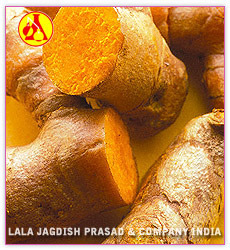 Turmeric is mostly traded in the whole form, and then processed into powder, oil or oleoresin by the industrial sector. Indian Name : Haldi Botanical Name : Curcuma longa Family Name : Zingiberaceae Parts Used : Rhizomes Habitat : Southern Asia Available : 500 Gms, 1 Kg, 5 Kg, 10 Kg, [25 Kg, 100 Kg, 200 Kg Pack In Steel Drums] Packing : Food Grade Silver Coated Alumunium Bottels And As Per Client Requirements.Turmeric, belonging to the ginger family is a perennial plant found in the tropical regions of Southern Asia. Turmeric is mostly traded in the whole form, and then processed into powder, oil or oleoresin by the industrial sector. Originated in Mexico, Vanilla is one of the most expensive spice and is used as a flavoring agent in cakes, ice creams and various other dishes. Apart from its taste and smell, vanilla also has many non-culinary uses, including perfumes, cigars and liqueurs. Vanilla extracts can be stored for indefinite time- periods in airtight containers and its beans should be tightly wrapped in plastic wrap and stored in an air tight containers. Packing : Food Grade Silver Coated Alumunium Bottels And As Per Client Requirements.Originated in Mexico, Vanilla is one of the most expensive spice and is used as a flavoring agent in cakes, ice creams and various other dishes. 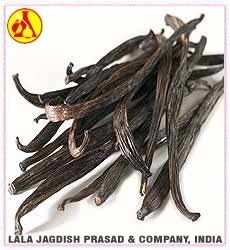 Apart from its taste and smell, vanilla also has many non-culinary uses, including perfumes, cigars and liqueurs. Vanilla extracts can be stored for indefinite time- periods in airtight containers and its beans should be tightly wrapped in plastic wrap and stored in an air tight containers. White PepperWhite Pepper is used for pickling spices and marinades, generally in light colored foods like sauces and soups. Popular in the European cuisine, it is used with fish, with eggs, and even in mashed potatoes. Apart from cuisine, white pepper has various medicinal properties and is extensively used in systems like Ayurveda, Siddha and Unani systems. It is also used as an essential oil in aromatherapy and other methods. Paprika is one of the most traded in spice, native to South America. The Plant is cultivated for its fruit, which is dried and used as a spice or seasoning. It is used as a food colorant in a variety of cuisines. Paprika is an annual plant which bears a green fruit when unripe and changes to red color on ripening. Only red colored paprika are processed into spice. The plant is extensively cultivated in Hungary. A variety of paprika are being grown the world over for difference in taste and aroma.. Packing : Food Grade Silver Coated Alumunium Bottels And As Per Client Requirements.Paprika is one of the most traded in spice, native to South America. The Plant is cultivated for its fruit, which is dried and used as a spice or seasoning. 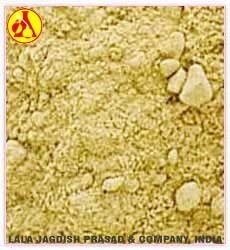 It is used as a food colorant in a variety of cuisines.